Medimix was an inseparable part of my teen life. Puberty had hit me hard and my face was covered with acne all the time. At that time, one of my aunt had recommended that I try the Medimix soap for washing my face and that turned out to be the best decision of my life. Fast forward to 15 years, I am in my 30’s and out of nowhere, zits start appearing on my face. In the beginning it was one on my nose or another on the cheeks. But it in no time, I could play connect the dots game on my face and I was not too happy about it. After trying a number of off-the-counter medications, it was time to start a beauty regime that was not only effective but sustainable in long term. And after thorough research I zeroed down on a brand that had helped me sail through my teenage skin woes - Medimix! The Medimix Ayurvedic Face Wash has not one, not two, but SIX powerful ayurvedic ingredients that are excellent for every skin type. Neem, AloeVera, Turmeric, Lodhra, Manjistha and Kustha...all of these ingredients have been recognized to yield best results for your skin from time immemorial and I guess that is why Medimix thought of combing the goodness of all these into one product. And though, we would all like to go natural, and use these ingredients raw and fresh on our face, the busy lifestyles we lead may not always permit that. 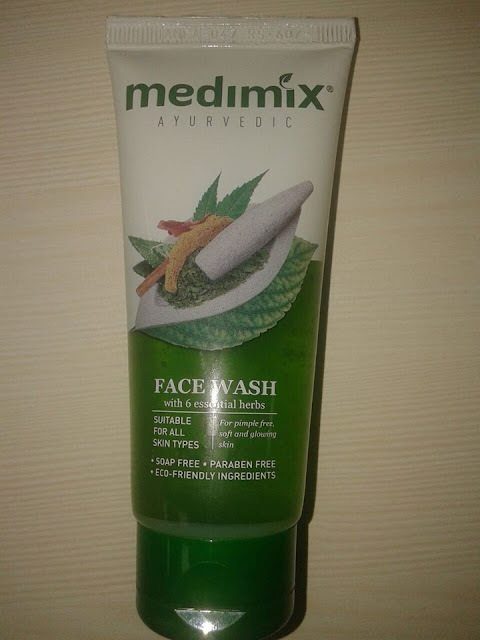 Hence, I feel that Medimix Ayurvedic face wash is the closest we can get to being natural. The face wash is gel based and is neither too runny nor too thick. A small drop of the gel face wash works up a good lather to cover your entire face and neck. The face wash has a strong aroma, something that reminded me of an Ayurvedic Spa and Salon that I had visited a few years ago. After the first application, my face felt squeaky clean and unlike other face washes I have used in the past it didn’t dry my face. After a week of application, my acne had started drying out and my skin felt soft. I think this is the simplest beauty routine one can add to their lifestyle to ensure a healthy skincare routine on a daily basis. 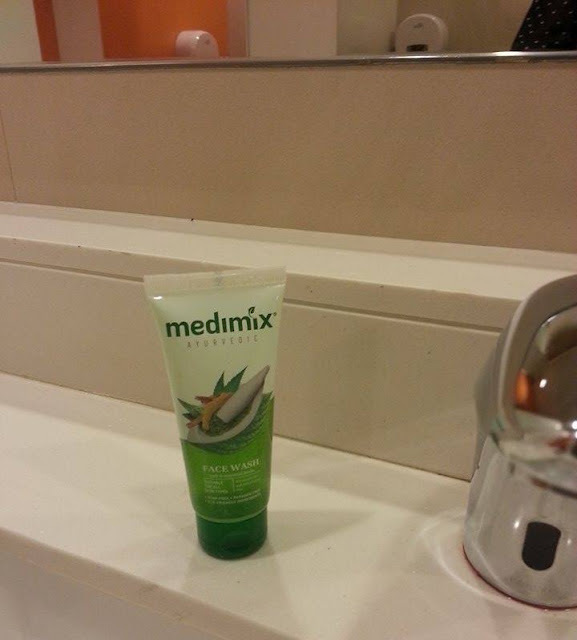 The Medimix Ayurvedic Face wash has found a permanent place on my wash basin now. This face wash is now my daily dose of Ayurveda. 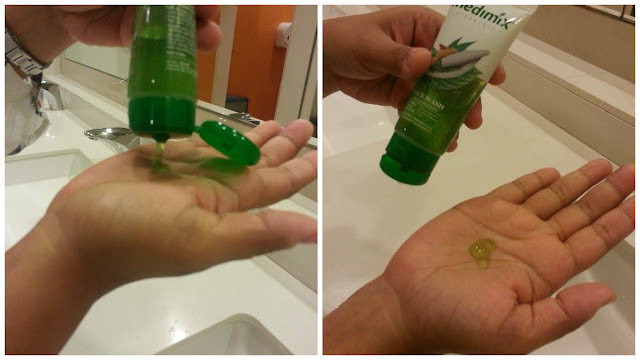 A 50ml tube of the Medimix Ayurvedic face wash costs Rs.60, which makes it affordable for all. The tube packaging also makes it perfect to carry in your purse, wherever you go. It is also available on Amazon in 50ml and 100ml tube packs. Medimix has also come up with an anti-tan variant face wash with Tanaka in it. I am pretty sure, if the Ayurvedic face wash was so good, the anti-tan variant is going to be great too. And I cant wait to try it, as I have too much tan to tackle from all the beach vacations I have been taking. On a scale of 5, I would rate this product 4.5 and recommend that you try it at least once. I always perfer to use Herbal products.Thanku for review. Thanks for your awesome review. Now a day’s Ayurvedic Face Wash are mostly likable among everyone.